We are back stateside after a wonderful trip through Italy with my entire family, 24 of us! Celebrating my grandpas 80th birthday and heritage tour. We traveled to several cities- Venice, Florence, Italian & French Rivieras, Lucca, Siena and even my great grandmothers home town, Poviglio. By far, our favorite was Cinque Terre, meaning “5 lands,” Manarola pictured here! I’ve been amazed by the beauty and glory seen through this trip, these places, Manarola case in point. The architecture, history, culture, geography, storylines and of course food (even GF bread/pasta, gelato, caprese, prosciutto, Italian vino), seeing God’s handiwork in all of it. How can this be possible, simply visible in God’s creation. Happy to be home with full hearts, feeling so blessed by these beautiful places and wonderful time with family. So much more to come- photos, blog posts, stories. So grateful! Home sweet Home! We bought a house!! We closed on our home Thursday & got the keys Friday! It’s a lovely 1936 home with beautiful character, charm and details. We spent the weekend painting almost every room, ripping up carpet to uncover original wood floors & some other projects, SO grateful to have help from Corey’s parents and brother. We weren’t looking for a new home, but the opportunity presented itself, we kept praying, and watched as God opened doors little by little, giving us peace along the way. This has been in the works since February! Playing worship music & praying while painting this weekend, I kept asking what the Lord has for us here, feeling peace in my heart. This verse has been the center of my focus since February, “Let the peace of Christ rule in your hearts. . . And be thankful.” -Colossians‬ ‭3:15‬ ‭ It’s already starting to feel like home and we are so grateful for this space and excited to see how God moves with greater opportunity to open our home & hearts to love and serve others. We pray this just might be our forever home! We moved into the home on my birthday. Then, over that weekend Corey’s whole family visited and helped us unpack and get settled, we literally unpacked every box (except the basement storage) while they were here! We gathered around the table for several meals, laughed and got to celebrate Mother’s Day- our home and hearts were FULL! Our house is already feeling settled and like Home and Jesus continues to be at the center building our foundation on Him, just in a new space, letting our roots grow down! We’ve been filled with so much peace & joy — and for me extra grace in opening our home to serve others (even in the mess) but also in actually letting them help serve us! More to come soon as we continue to do updates and settle in! SOLD! It’s official, our little house sold and we closed with all the paperwork on Friday! This was not our plan to sell our house, to look for another house or to move for that matter, but it was God’s plan! We even had plans in the works to remodel our upstairs, but we kept pausing because it didn’t feel right. 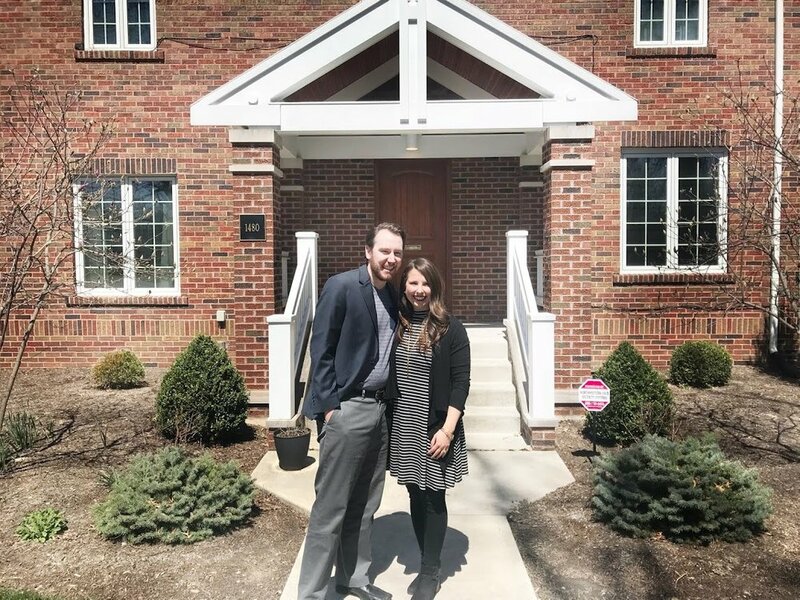 We thought we’d likely only be in this home a few years and we found ourselves asking, “what are we building into?” Within a few days of deciding to stop the remodel plans, we found our new home. We weren’t sure what God wanted, did he want us to move, was this the right house? We kept praying for peace and for doors to continue to open, we kept, asking, seeking and knocking. God moved beyond what we could’ve asked. We ended up getting an offer before our house was officially listed but we felt we needed to wait. 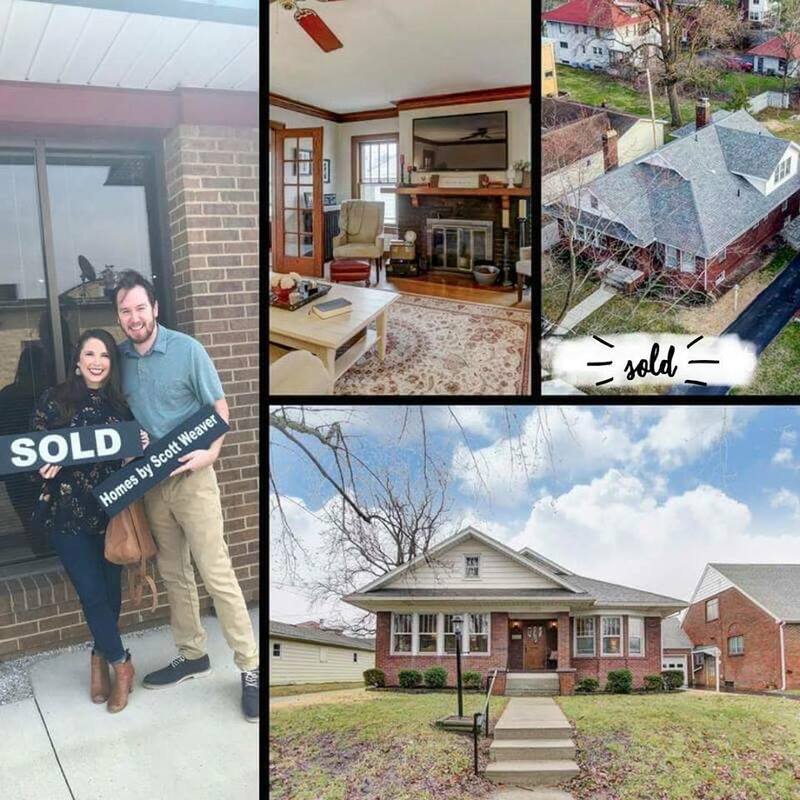 We listed our house and had so much interest, but within a few days that same buyer came back with a higher offer, and our house was sold before we even had our new home under contract. Little by little His plan has continued to unfold, as we kept knocking, He kept opening doors and giving us peace that surpasses understanding. This all started in February, we closed on the sale of our house Friday and we close on our new home this week. God has taught us a lot about surrender to His plans & His will, but we are praising Him for this next chapter! Corey had lived in this home for 5 years and I joined him a little over a year ago after we got married. It was such a special place for us. This was the Home we lived in during our first year of marriage, building our life together in Lima, opening our home for dinners, coffee chats, bible study, and where I had my first garden. A home filled with memories, prayer, and lots of love. •Early on Corey remodeled the whole kitchen with his parents, pulled up carpet to discover original hardwood floors, removed wallpaper, painted and had a new roof added. I can still remember pulling up to this house for the first time when I made a day trip to Lima. We sat on his couch (that was in front of - with the back towards - the fireplace), we shared our hearts and talked about what a courtship would look like... so serious I know. I still remember him walking me to my car with an umbrella that night as it down-poured after my first dinner at The Met. I remember seeing the character and charm in the home and praying where God might lead this new relationship, maybe one day with me to Lima... and less than a year later it did as we got married in 10 months! It was bittersweet but it felt so good to say goodbye knowing what God has for us next! We thank God for this Home and the way he covered us while living there! Happy Easter, He is Risen! With the dawn, the grave is gone! Even a day after Easter, this is something our hearts so need to hear, ponder and take into the days going forward after Easter. Oh how the Lord wishes to be close to us, so much so that He sent His Son to walk among us, understanding our joys, trials, hopes, struggles and weaknesses. Jesus, who also loved us so much that He gave His life on the cross to take our place. But the story ends in Victory with Easter, the resurrection and the triumph over death! We can trust in HIM and rejoice in His salvation! HE IS RISEN INDEED. Yesterday we visited a church with our family, the message and worship were so moving & convicting in celebration of Resurrection Sunday! We talked about, IF Jesus rose from the dead, then what?... so what?... I would say that it changes everything and has the power to transform our lives, not just on Easter but everyday. After His resurrection, Jesus came to two disciples on the road to Emmaus yet they did not recognize Him. We are, at times, slow of heart to believe, but Jesus is near, closer than we think, yet often we do not recognize Him. He so longs for us to believe, to follow Him and to live differently. After Jesus explained the scriptures to them, and reclined at the table breaking bread, The disciples finally realized who He was. “They asked each other, “Were not our hearts burning within us while he talked with us on the road and opened the Scriptures to us?” -Luke‬ ‭24:32‬ ‭‬‬This burning sense is the Holy Spirit, fanning a fire into flame within our hearts, that we too can experience from the resurrected Jesus that is resurrecting us. Jesus had the power to rise from the dead, defeating darkness and death, rising in Victory as our resurrected King. By His Spirit we rise, the same Spirit lives within us and has the power to resurrect our own hearts and lives here and now and for those who believe, resurrection to life everlasting, eternity in Heaven with our King. “The Spirit of God, who raised Jesus from the dead, lives in you. And just as God raised Christ Jesus from the dead, he will give life to your mortal bodies by this same Spirit living within you”-‭Romans‬ ‭8:11‬. He brings us from death to life, from wrong to right. He is alive in us. In His name we come alive and have the honor and joy to declare His Victory! Praise HIM for these beautiful truths that change everything for us on Easter and everything moving forward. I am always so moved in the way Jesus shows up and changes hearts with the way He moves and works during the season of Lent, right into Holy Week. God paradoxically uses the events of Good Friday to become something so eternally beautiful. In the fullness of truth it was God’s will and plan for Jesus to go the cross in the greatest act of sacrifice so that we might have life. In the ‘Drama of Scripture’ it says that “Jesus chose the hard road into the kingdom: the road of humble service, self-giving love and sacrificial suffering. The way of Jesus is the way of the cross.” God thirsts for us to open our hearts and turn our faces towards him- not just during Holy Week or on Easter but always. Why is Good Friday good anyways? Jesus died… how is that good? At first, it of course does not seem good, after all Jesus did die. But oh how glorious that event was because of what it means for us today! Only God could use Good Friday and Christ’s crucifixion, something so tragic and seemingly terrible to be something so eternally beautiful. The good news of Good Friday is that it is finished. We are so radically loved by God, the deepest sort of love that while we were still sinners, God gave us His son to die for us. God’s light shines through all darkness, Jesus conquered death by His work on the cross. We may try to get to Him, but instead he comes to us, He wishes to be with us. He entered into death and darkness so that we won’t have to. This indeed is the deepest love, bringing Victory and Salvation. “He made Him to be sin who knew no sin” -1 Corinthians 5:21. He hung on a cross, bled for you and me, took on our sins into himself and in the darkest hour He breathed His last breath saying: “It is finished”-John 19:30. But, that is the Good News of Good Friday… There is nothing more we have to do, all the work has been done by Christ on the cross. He paid the price for our sins and died in our place. If we follow Jesus and accept Him in our hearts there is a very beautiful ending. Jesus is the living water that is the spring to eternal life. Thirst for Jesus because he thirsts for you. Keep on entering with confidence and boldness into the presence of God- draw from him the endless resources available to us in Jesus Christ. If God is inviting us to participate in his life through Jesus as our High Priest and Mediator why would we not take him up on his offer?- He is God enough to save and man enough to understand us. Who do you say that Jesus is? God does indeed work all things together for good (Romans 8:28) all for his Glory (Philippians 2:13). Even something seemingly bad, Christ’s crucifixion, was actually for good and it is eternally beautiful. 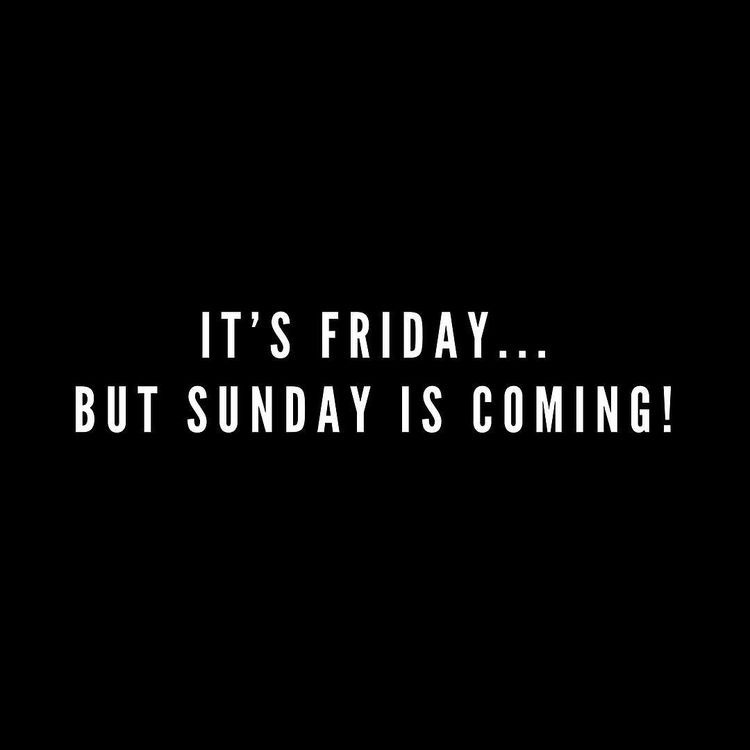 We can rejoice because we know the best part of the story is coming… Sunday is coming… when Jesus is resurrected and conquers death on Easter! Happy Friday Introductions! It's been a while since I've shared more about my business or even wrote a blog post for that matter. I thought I would share more of the story behind Refined Heart Living and what I do. Personally, I am a creative, business minded gal that went from the corporate world craziness, to entrepreneur, starting my own business with the guidance of God’s hand. I am the owner and creator of Refined Heart Living, LLC where I am an Independent Brand Rep. I loves Jesus and encouraging women about how God works to refine our hearts and lives to be more like Him. I have been writing and blogging for a few years but just started the Refined Hear Blog last August. Now grab a cup of coffee and listen in to more of my story behind my business and what I do! It was April of 2014 and I was living in Portland, Oregon at the time. I was walking through beautiful, endless tulip fields in Woodburn, Oregon. I had decided to take a day trip adventure on my own and was fascinated by the colors and sheer beauty of God’s creation. I spent time wandering, praying, & reflecting. It was a week after Easter and Luke 24:32 kept running through my mind “They asked each other, “Were not our hearts burning within us while he talked with us on the road and opened the Scriptures to us?” I thought about Jesus coming to these men after the resurrection and the way their hearts were burning, He had opened their minds to understand the Scriptures and had left them with a fervency for the word. I can recall reading a passage from She Reads Truth saying “Do we continue down the road as a different person because we walk with Jesus?” I kept thinking about how God uses challenges to help us grow- through our weakness we are made strong through Christ’s power and grace (2 Corinthians 12:9). How the fervency of God can burn in our hearts, this burning that brings about refining of our hearts into His image. We can come boldly to Jesus with our challenges, prayers, dreams, desires knowing that He walks with us and knows our prayers before we even ask. I didn’t truly realize what it would become at the time, but this tulip field adventure was the start of God doing something in my heart. After this adventure, I started using the phrase “Refined Heart” to talk about refining of my own heart that God was doing through the word and my circumstances. The way that God has continued to move over the last several years, bringing callings, dreams, visions, to fruition has left me in awe. This was just the small beginning to using the phrase “Refined Heart” that has now transformed into the name of my Website, Blog and Business, Refined Heart Living. God started to put a new vision and dream on my heart, and so I decided to slowly start building my own business. 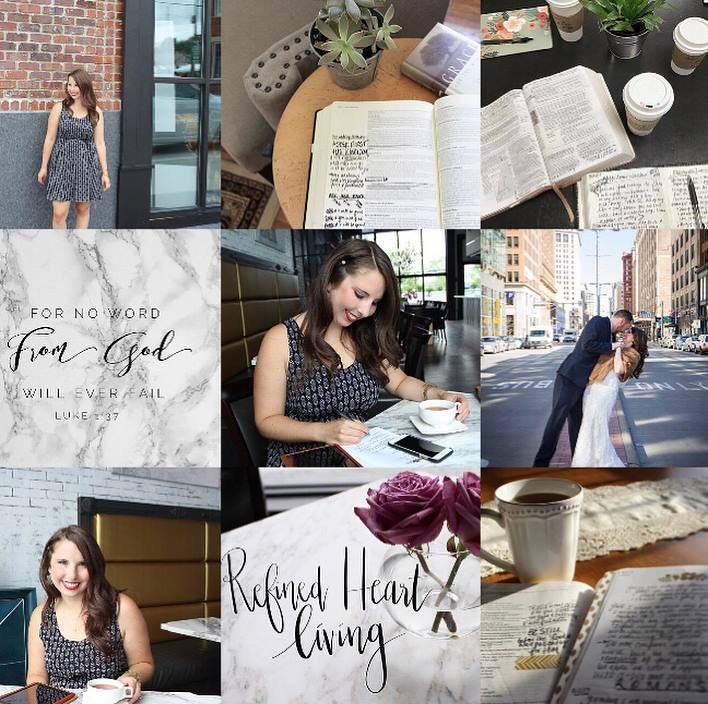 Refined Heart Living started as just the name of my website, blog & social media platform, a space for me to share my heart and encourage others. Then, I felt God leading me to have it be the name of my business as well, knowing that for me, my faith and work are so intertwined. You see, I work for the Lord first, to bring Him glory and work to serve my customers second. In my business, I independently represent a portfolio of brands such as candles, books, cards, jewelry and other gift items where I wholesale the lines to retail locations across the state of Ohio such as boutiques, gift shops. bakeries, flower shops, hospital gift shops, among others. [you can take a look at the newly updated "Work With Me" tab to learn more about the brands I represent, and to see their websites and catalogs!] I work from home some days and other days I am on the road traveling to see customers. I carry samples and catalogs with me, meet with customers and ultimately work to serve my stores, customers, and brands well, helping to share the love and light of Jesus in my interactions and service. Refined Heart Living means to live in such a way to continually be refined in heart and refine others, in order to live better and more boldly for the Lord, our families, friends & customers- those we live with, work with and those we get to love & serve daily. I want the Refined Heart Blog to be a place where you can sit down and have a cup of coffee. To read the blog and be encouraged either in spirit, in heart or in truth, in life, business or in faith. I want to share my heart, my stories and create a safe space of community while encouraging women and refining hearts to live well – right where they are – for not just the kingdom of God, but for those we get to serve and interact with on a daily basis. It’s about offering grace to ourselves & each other, but most importantly, it’s about HIS grace poured out, refining us more into His image daily. While the writing on my blog and social media to date is often spiritual and my original intent in “Refined Heart” was spiritual, I do feel that Refined Heart Living, can be also secular. To be refined means to remove impurities or unwanted elements from a substance or process- this is often seen in gold, oil, or can even be in our own hearts by God’s word, or simply by the encouragement of friends, feedback from a boss, or even from challenging experiences we go through. “But He knows the way that I take [and He pays attention to it]. When He has tried me, I will come forth as [refined] gold [pure and luminous].” -JOB 23:10 AMP We often hear the phrase “refine by fire.” Gold goes through a refining process by fire that removes impurities. So when someone says, “you have a heart of gold” I can’t help but think of the refining process that someone’s heart has been through. The Lord knows the way we take, He sees every step, He pays attention and loves is so much. There are things in our lives- circumstances, challenges, relationships that “try” us, and even still God uses it all for good. We will come forth as refined gold, our heart more refined into His image. This is another verse that has brought me inspiration to the name Refined Heart Living. From a business standpoint Refine means to develop or improve so as to be precise or subtle “building up a more refined profile of the customer’s needs.” Refined can also mean to improve something by making small changes in particular to make an idea, theory, perfect, polish up, hone, fine tune. It also means to be elegant and cultured in appearance, manner, taste. Some synonyms include cultivated, cultured, polished, styled, elegant, sophisticated, well mannered, gracious, polite, discerning, fine. These dreams have been written on my heart from long ago, and have been moved forward by God’s hand. He has continued to define my callings, and has led me each step to pursue these dreams. I have been motivated by the Lord to bring Him glory, walking in obedience to His call. Daily I keep asking the Lord, give me the words! Looking to this verse, “May the words of my mouth and the meditation of my heart be pleasing in your sight, O LORD, my Rock and my Redeemer.” -Psalm 19:14. I work for the Lord and He has been first place in my mind and my heart. All of this work on my website, blog and business is Kingdom work, in my mind, all to please Him and bring Him Glory! It has all been challenging and refining. But honestly things just keep coming to me, my vision and dreams have become clear because I have been walking in step with Him. So, I encourage you to seek the Lord while He may be found, see where He is calling you, what are the dreams and visions on your heart, and where do you see His hand leading you? I pray that the Lord has spoken through me to encourage your heart and that He might bless you in the process! On March 4, 2017, I got Married to my love & best friend! We have loved celebrating our first few months (almost year!) of marriage. After 6 months we were engaged and 4 months later we were married. We had a beautiful wedding with 300 of our friends and family in Downtown Cleveland at the Old Courthouse. God was at the center from the beginning and was so present during our wedding day, to him be all the Praise & Glory. We love because He first loved us. I launched my new website, blog & business, Refined Heart Living. I have *slowly* watched it grow beyond my expectation, God always knows best and has a plan greater than we do. I spent a lot of time in the Word, reading the Bible, letting God speak, drawing near. Knowing that His word does not return void, it has eternal value & no word from God will ever fail. Sharing truth, encouragement & the refining of my own heart through writing both on my blog and through social media. Including the merging of my life & business and the story behind it. I loved getting to share engagement photos, scripture and truth about marriage the 10 days leading up to our wedding (many pictured above). Building our home, making our little 1920s house more of a home in Lima. We remodeled our bathroom & many other remodels/updates with more to come in 2018. Not pictured are the beautiful in between moments of building our first year of marriage. Sweet moments with family and friends, including a whole lot of celebrating of "firsts" such as our birthdays, the holidays, and so on as newlyweds. Leaving the corporate world, finding freedom and grace in that beyond what I could've imagined. A short few weeks of nannying for a sweet little boy and family that is so dear to our hearts. Seeing God slowly lead me to building a blog and a business- all the conversations, leaps of faith, prayers, tears, excitement and everything in between. Greater healing in my body and my mind with "slowing down" in Lima, love in my heart, rest in my body, self care in nourishing food and moving my body, didn't realize the toll stress and the corporate world had on me. Planting my first garden and realizing that I was not that great at it but the Lord taught me a lot through it and I'm determined to try again this year! Watching two of my sweet friends (one was my cousin) get married as I got to stand next to them as a bridesmaid on their special day. 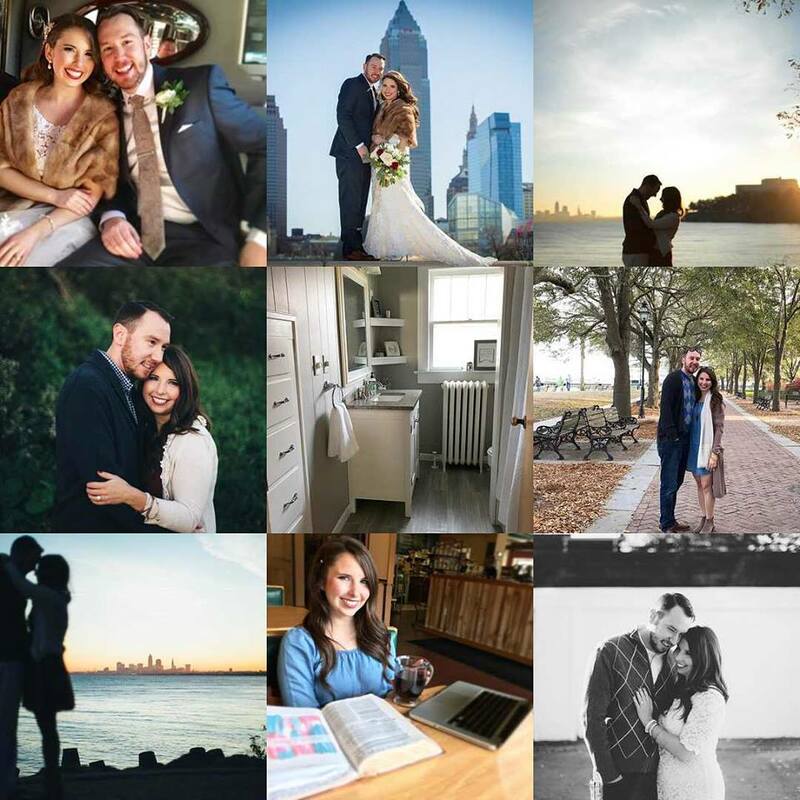 All the joy and laughter, tears, prayers, long talks, snuggles, netflix watching, cooking, reading and even just emotions of marriage, moving, at times loneliness (as we build community) and what felt like starting to build my life in a lot of new ways, together with my sweet husband and with Jesus our cornerstone at the center & our foundation. I’ve been sitting in Hebrews 4 [The Believer’s Rest] for several days now. Being still in His presence, finding physical and spiritual rest for my soul. Pressing on to know the Lord (Hosea 6:3). Reflecting on all the goodness God has brought in 2017, the best year yet where I got to marry the love of my life. But also brought so much change. I have taken some time to slow down and just savor before pushing on to goals and plans for 2018. To find Sabbath rest, to not continue on to works but look to Jesus and the work He finished on the cross. Being diligent to draw near to the throne of grace, having diligent to enter that rest with faith, not being passive, trusting, relying, clinging to Jesus. Knowing that His word is living and active, it changes our hearts, minds and lives- the Holy Spirit speaks to us and God is present with us. Press on to be present in His presence. Be still & reflect before pressing on ahead. Please help me in welcoming my friend, Laura Dudek, to the blog! This blog is comprised of excerpts from Laura’s new Bible Study, ‘Written: Capturing + Cultivating the Blueprint of your Dream.’ Capture your dreams like never before in this eight-session study experience. 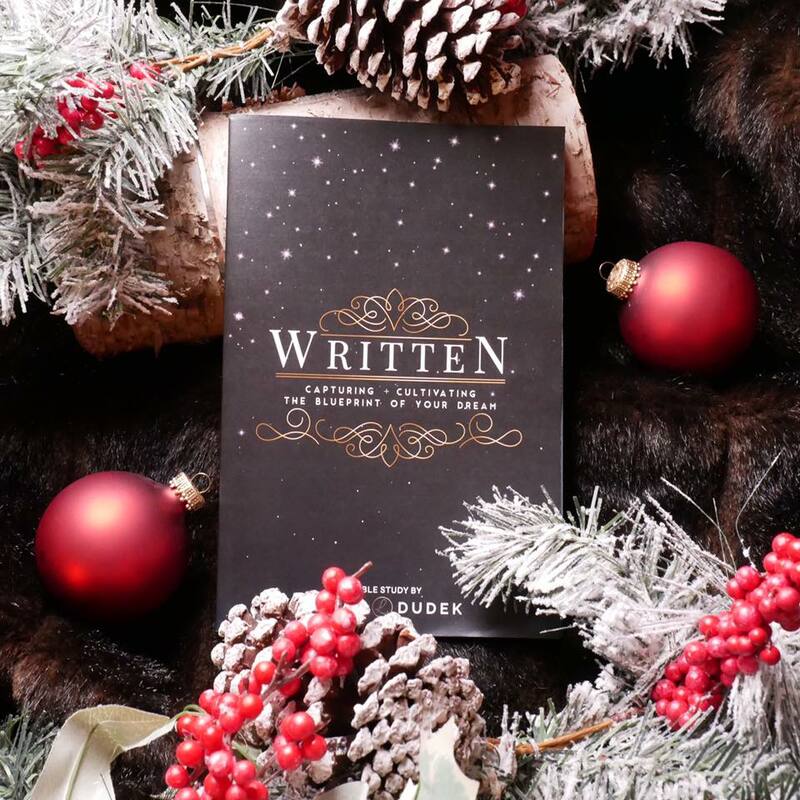 ‘Written’ will guide you to complete your personalized Dream Blueprint: framing each distinct aspect of your dream. Discover the path to your dream, and be equipped with the tools + principles to tangibly bring it to life. God has already written the story for your dreams- you just need the eyes to notice it and confidence to capture it! I can’t wait until my devotional book arrives and I can start the new year fresh, pressing into the dreams and story God has written for me! Grab a cup of coffee and be encouraged by Laura's heart with insight on 3 Game-Changers for Dreamers, where she talks about how God refines our dreams into His vision, we just have to chase after Him, allow our dreams to breath over time, and accept the painful, challenging seasons as valuable pieces to our dreams that God has "Written." In my own experience of bringing my dreams to life, I not only struggled to recognize the dreams that God was planting within me, but how to accomplish them. I realized that I felt vastly unprepared for the real journey I was on as the pursuit unfolded. After countless discussions with others, I noticed a pattern emerge- that they felt this exact same way- they too wrestled with these same tensions. Many dreamers honestly don’t know what their dream story looks like from start to fulfillment. From the valleys of disappointment and heartache to monumental successes and celebrations, we aren’t equipped with an exact blueprint to show us how to capture and cultivate our own dream stories. All throughout the Bible we read that people were pursued by God so He could reveal within them His dream for their life. Biblical leaders like Joseph, Paul, Mary and Abraham were individually encountered by God and walked away with a call to a dream. God didn’t expect them to jump through hoops to accomplish the goal- all they had to do was show up. God created a space where He captivated them to reveal the dream that He had written into their story. A dream from God isn’t manufactured or contrived, it is liberating and empowering. When each of these Biblical leaders walked away from their encounter with God, they not only held a new pursuit for their life, but they embodied a divine confidence and boldness that they would carry that dream to the ends of the earth. The same divine power that captivated their attention to realize a dream would then embolden them to capture that vision and run after it with everything they had. The difficultly now is to live in a world where contriving and striving are ‘normal.’ In our culture, we created this idea that we control our own success, and that we alone make or break the biggest dream we can conjure up. The phrase, ‘dream-chaser’ is very popular and used in various communities and environments. But the Lord was specific to show me that His dream-chasing is vastly different than what you believe it is. We are not actually made to chase after dreams. We were made to chase after God. For me, my dream is to be a Christian speaker and write relevant bible studies. At a young age, I discovered that I loved to perform and do public speaking presentations, and I thought that I wanted to be a kindergarten teacher. For years, I had a plan in place: to go to a specific school, get a specific degree, and become a kindergarten teacher- happily ever after, amen! But then when I applied to colleges, I realized I couldn’t afford that school- and one dream got derailed. In my second semester of college (after transferring from my first chosen school… another failure in my mind), I finally got into the classroom filled with kids. And to my surprise- I hated it. Every minute I dreaded being there, and I realized in that year that not only did I not want to be a kindergarten teacher, but I didn’t even want to be in the education field! After switching my degree again, I could have called it all a failure, that all the years of dreaming to have my own classroom a waste. But what I gained in that time was the insight of letting my dreams evolve with my life. My ideas, dreams, and aspirations will evolve, because I am ever-evolving. It sounds silly, but dreams are like a fine wine- you need to let them breathe. There is this tension to charge hard after a dream and ‘get it right’ the first time. The pressure for quick turn over and high success in a short period of time is real. Dreamers long for that instant success and to see immediate results and rewards. Especially when launching your dream, having to ‘re-do it’ or ‘tweak’ it can often equate to failure. Over time, aspects of your dreams will come to life, and you may or may not connect with it like you hoped. But it isn’t a waste. In my ‘dream breathing’ season I took the meat and left the bones, meaning, I found the lasting piece from my past dream to keep. In this case, I still loved to teach and speak publicly. But the bone to leave was doing it solely in a classroom context as an elementary school teacher. So I took the meat and left the bones, meaning, I found the lasting piece from my past dream to keep. In this case, I still loved to teach and speak publicly. But the bone to leave was doing it solely in a classroom context as an elementary school teacher. So I took the lasting dream elements, and let God breathe on them new opportunities, ideas, and aspirations. He connected pieces of my heart and personality to these lasting dreams- pairing them in ways that I actually hadn’t considered before college. In the very next season of life, God called me into ministry and revealed the pairing that I could publically speak about my love for my faith! May that be an encouragement to you: there are dreams in your heart that you may ‘miss’ the mark on how it plays out in your life the first time. But God uses that time to dust off and refine our dreams into His vision. Just as you will grow and mature, so will your dreams. The enemy delights in tricking you into believing that your story needs to be covered in mud, pieces thrown out, and whole chunks of your story forgotten- just because they are pricked by pain. He works diligently crafting lies of bitterness to make you discount whole seasons of your life simply because they were marked by injustice. But the Lord wrote every part of your story. He created you a dreamer- one who was made to soar and formed to do great and glorious things in His world. Every piece of your story holds intrinsic value, and while some pieces may be painful to look at, there is glory in the pain. There is a lesson, a purpose and an eternal perspective for those pieces too. One of the goals of my ‘Written’ Bible Study is to help you see that all of your dream story in the grand scheme of life is beautiful. Following your dreams isn’t just about ‘getting there’ but about who we are being made into and what we experience in the process. Dreams aren’t solely about the future manifestation of a specific situation in our life. They are also about the people involved in that situation and who they will be in living in those circumstances. While we can get hung up in the dream pursuit of creating one specific situation before us, God is also dreaming about who you will be when you live it out. God doesn’t simply build dreams of businesses, families, ministries, or careers without also building into the people that will carry those entities. The danger in fixating on just the situational aspect of your dreams is that the process of you becoming the person to stand in that place gets forgotten or devalued. Your becoming process is invaluable, priceless, and the most integral part of your dream pursuit. Remember, God’s dream is you, and He planted dreams within you in order to see more of his kingdom on this earth. So your refinement process matters, and that often happens in the dark moments of the cistern. Every season of your life is a piece of your dream, and it matters. When you are tempted to throw away entire seasons because of bitterness or you continue to be held captive by its ties, you surrender to the lie that God isn’t in control and He ‘didn’t see that one coming’ to bring about a glorious restoration. Forgiveness is the active surrendering of our mind, heart, and soul to the One who holds everything and everyone in His redemptive hands. Thank you so much to Laura for this beautifully written post. You can sign up for this FREE online study experience starting January 8, 2018 and receive FULL access to engaging video teachings, interactive forums, and bonus inspirational content! Sign up for free at LauraDudek.com/writtenstudy. LAURA DUDEK is a Christian speaker and author of women’s devotionals, such as Scars of Grace, Draw the Line, Hello Love, and Written. Laura holds a Master of Divinity degree, concentrating in Pastoral Counseling from Liberty University, and a bachelor’s degree in Psychology, Religious Studies, and Adolescent Counseling from Canisius College. Laura aims to encourage women to fulfill their dreams and purposes in God, communicating a message that brings women into restored lives and closer intimacy with the Lord. 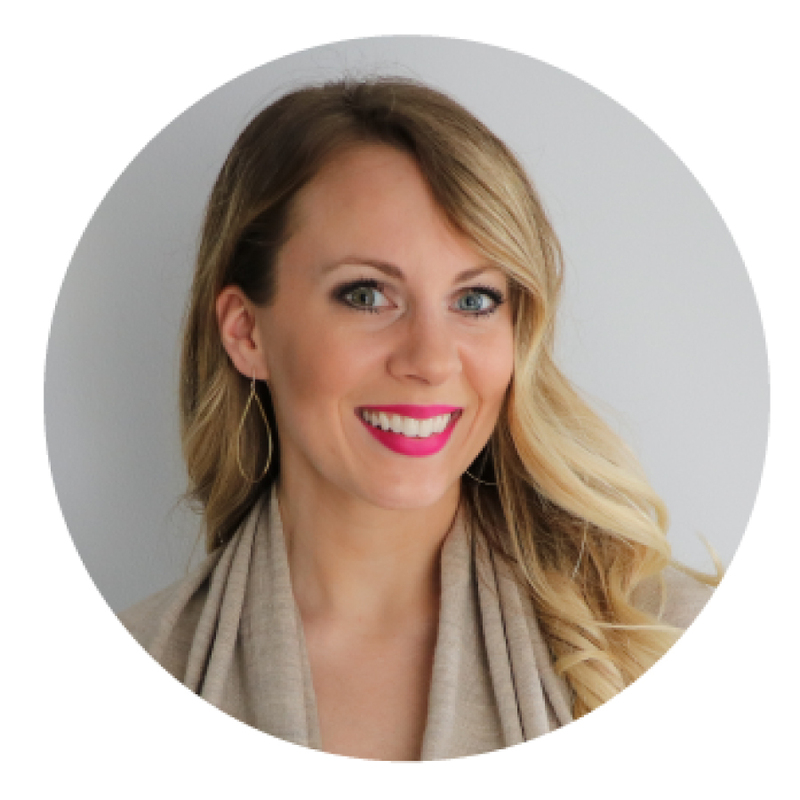 She is also the founder and Executive Director of Rescu for Love, a non-profit organization devoted to raising funds with beautiful products that propel love and inspire stories for all women. She presently resides in Cleveland, Ohio with her husband, Joshua. Visit Laura at LauraDudek.com or on social media, @laurakdudek. Whether you’re reflecting on 2017, planning for 2018, or are in the thick of the small beginnings here and now- aren’t we all, just a little bit, some way or another?! I pray that your heart is encouraged by this post. As promised on my instagram stories, I’m sharing more about how the seeds we sow matter and how they can help to reap a harvest and good fruit. I was humbled and encouraged in my business last week, but also was reminded to not despise the small beginnings, but rather rejoice in each little step, each interaction, relationship built and opportunity to serve. I also recently had the joy and privilege to speak at a group of local high school students with FCA (Fellowship of Christian Athletes). I shared about sowing/planting and reaping a harvest, referencing many pieces of scripture to help illustrate these ideas. I talked through Hosea, Galatians and 2 Timothy— how being devoted, disciplined, committed can help reap and bring about a harvest. This has been so evident in my own life, as I have started my own business in the last several months. A lot of small beginnings, trusting God, and staying encouraged along the way. Any goal, dream, vision, or desire that God has placed on our hearts takes devotion, discipline and commitment to cultivate seeds that lead to a harvest, bearing fruit. It takes time, there are many challenges along the way, but the harvest is always worth it. It's in the small beginnings that we learn so much, we grow, and God is glorified, pleased and rejoices. I am not sure if you are familiar with the book of Hosea. It's a book in the Old Testament, written by Hosea, a minor prophet—a story to illustrate God’s redeeming love for Israel and sinful people. It’s a love story between Gomer and Hosea, filled with brokenness, adultery, but ultimately redemption. There is a lot of imagery about plowing, sowing and reaping through out the book of Hosea—well really also laced through out the bible— in parables in the Gospels and other passages, some of which we will talk through. In Hosea chapter 8 it talks about how Israel was sowing the wind and reaping the whirlwind. Lord, help me to see where I’m sowing things of the wind, I don’t want to reap a whirlwind! I want to sow meaningful, good seed, things with intention, kingdom things, and reap good fruit. In chapter 10 we are advised to sow for ourselves righteousness & reap the fruit of mercy & unfailing love. Yes, I want this sort of sowing & reaping, dont you?! Just as a plowed field is prepared, ready to receive seeds, our own rocky, hardened hearts need to be plowed and ready for God to work. Throughout Hosea the Lord begs that we return to Him, he alone revives, restores, refines and ultimately redeems. Search for Him diligently. He’s after our hearts. “The story of Hosea & Gomer reminds us that sin never satisfies, only JESUS does.” -Kristin Schmucker. Galatians encourages to sow to please the spirit and reap eternal life, shifting our focus to an eternal perspective. Paul also tells us to not grow weary in doing good, to keep planting that good seed—being discisplined, devoted, committed, knowing we work for the Lord and are working for an eternal purpose. The Soldier: Devotion & Faith. Our life is a battleground, to live well, we must hold fast to our faith and be willing to lay our lives down, as Jesus did. We have to engage in the world, but don’t get caught/distracted, rather be be transformed by the renewing of your mind, devoted to Jesus (Romans 12:2). The Athlete: Discipline driven by Love- desire to win. We have to set goals, driving us towards the discipline to achieve them. In that, we have to play according to the rules—in the faith walk, running a race, live within God’s parameters- obedience to his word. What is a goal you have in personal, in business, a dream, or in family? Are you disciplined, sowing good seed to reap a harvest? In the case of an athlete, training in the office season, going all out in practice, even if you don’t get to play, supporting your team, being a light to an opponent. What are you doing each day, one step at a time, to get you you closer to your goal? The Farmer: Commitment, what we Hope for. Commitment is directly connect to the hope. In the farmer's case, the hope is to produce crop and provide for family. He sows good seed, hoping to produce fruit and a harvest. We have a covenant relationship with Jesus in all seasons we should be committed in the valleys, hard times, and the joys and good times. What is the fruit you are bearing from your commitment and hope in Jesus? The small steps, little seeds add up. I am slowly starting to see fruit in my business, last week was so humbling and praiseworthy for how God was moving. It was just this reminder to not despise those small beginnings. I'm still in the small beginning, but God is moving and leading the way. I'm building and cultivating relationships that are leading to business that I can only praise God for. So, I leave you with this, what are you sowing and reaping? What are your small beginnings and are you going to God to partner with Him in this? Examine your heart—see what needs to be plowed, where are there uncultivated areas? Are there ways you need to be more devoted, disciplined and committed—to Jesus, to your team/ work, to your friends, family etc. Examine your life—what you are sowing and what you are reaping and how might God be nudging you to shift, and to keep all of it with an eternal perspective. I know I don’t want to sow of the wind and reap a whirlwind, sow for ourselves righteousness & reap the fruit of mercy & unfailing love. When we work towards a goal, we plant seeds along the way, we have to tend to them, and be sure our heart is in the right place in order to reap a harvest. It’s never too late to return to the Lord and plant seeds of meaning. Also, how cute is this little coffee shop?!! 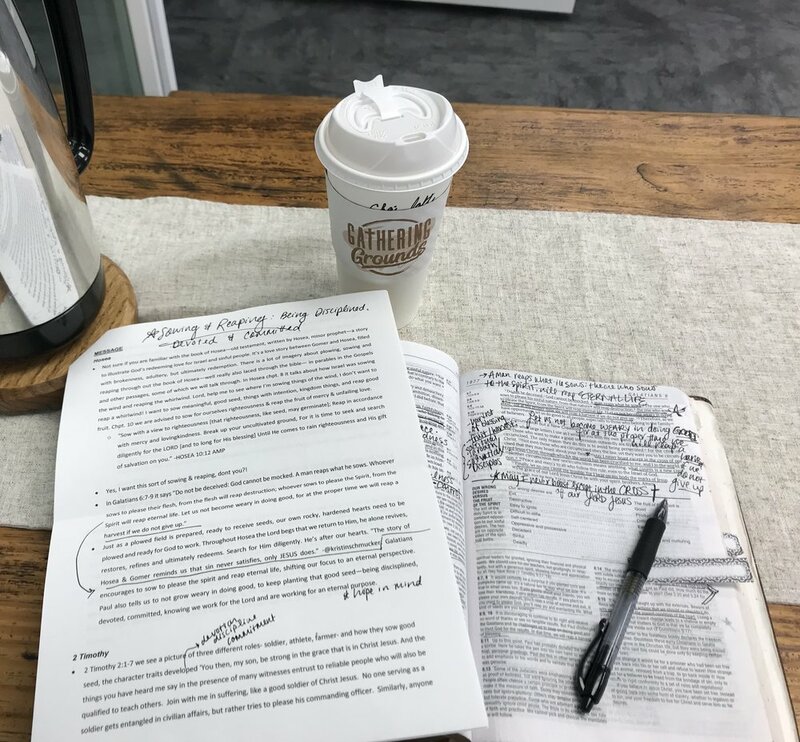 After my teaching I spent some time in the word, reviewing my goals and catching up on work emails at a new local coffee shop called Gathering Grounds- Love their heart and mission! If you are ever near Indian Lake/ Russells Point, OH, I encourage you to check it out! I want the Refined Heart Blog to be a place where you can sit down and have a cup of coffee. To read the blog and be encouraged either in spirit, in heart or in truth, in life, business or in faith. I want to share my heart, my stories and create a safe space of community while encouraging women and refining hearts to live well - right where they are - for not just the kingdom of God, but for those we get to serve and interact with on a daily basis. It's about offering grace to ourselves & each other, but most importantly, it's about HIS grace poured out, refining us more into His image daily.